Rewire Security offers a wide range of powerful GPS tracking devices for tracking vehicles in real-time. Our vehicle tracking devices arrive at your doorstep pre-configured and ready to work as soon as you install the device in your vehicle. GPSLive software is included with your service subscription and allows you to locate your vehicle on the digital map. Whether you are an individual or you own a fleet business, our vehicle tracking solutions can be customised to match your requirements. Rewire Security offer it’s unique branded GPS trackers and Telematics devices to allow you to locate your car, van, motorcycle or assets on the map quickly and easily. You can monitor the movements of your vehicles in real-time while they are on a job site or on the route for delivery. The ability to locate a vehicle on demand is particularly useful in the event of an emergency; field managers can send medical aid or road assistance to employees in need depending on the severity of the situation. Businesses can use real-time tracking feature to improve their routing and to improve dispatching processes while individuals can keep an eye on their loved ones’ location, route history and their driving habits to guide them on improving their driving behaviour and fuel usage. GPSLive allows you to create safe zones that can be drawn around specific locations on the map. Geofence zones are virtual barriers that trigger an alert every time your vehicle enters or leaves the area. You can set up a geofence zone around your house or your workplace to get instantly notified on your mobile devices using our mobile smartphone APP. Geo-fence zones can act as an early warning system in case of emergencies and help businesses to record time spent on work sites. With accurate time and GPS location data at hand, fleet managers can eliminate false overtime-fuel claims and present their customers with evidence of accurate arrival and departure timelines. GPSLive website can be accessed on a computer using any web browser, no software installation is necessary. The mobile application is free of charge for GPSLive users and it’s compatible with IOS & Android tablets. View and track the real-time location of your vehicle using an IOS or Android smartphone. Rewire Security GPS Trackers are compatible with all vehicle types and can be easily customised to meet the requirements of our customers. From Plug & Play vehicle trackers to battery powered tracking devices, we have a wide range of options you can choose from to keep track of your vehicle and enhance its security. Keep an eye on the location and paths taken by your vehicles. View the traffic congestions for optimising dispatch routes. 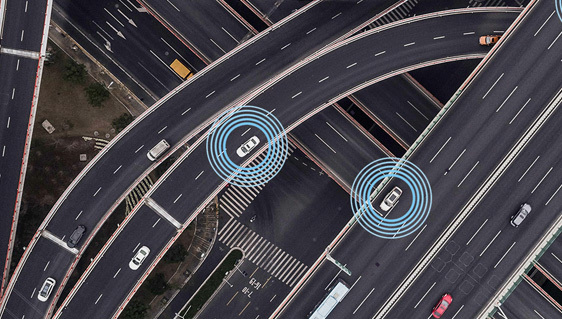 Multiple sensors for gathering information about your vehicles. Coverage and unlimited service in over 180+ countries. Get notified if a vehicle is speeding over national speed limits. GPSLive GPS tracking platform works on PC, tablet and smartphones and features a long list of useful functions for enabling fleets to improve productivity and efficiency. GPSLive is an innovative cloud-based tracking software with state-of-the-art features for adjusting your tracker settings and monitoring the location of your vehicle. Our team is constantly analysing and improving our software to match the ever-increasing demands of our customers and the growing vehicle industry. GPSLive user interface is easy-to-use and fully capable of monitoring 1000s of tracking devices in real-time. You can access the previous travel history of your vehicles up to 3 months to view the logged events such as movement, speeding, ignition and routes taken. GPSLive is a powerful online cloud-based tracking software that allows businesses and individuals to locate and track their vehicles or assets on a PC, Mac, Tablet or a Smartphone. You don’t need a computer to access your vehicle tracker settings and monitor the location of your vehicle. GPSLive Smartphone APP is free of charge, included with your GPSLive subscription allowing you to adjust your tracker settings and keep an eye on your vehicle on your smartphone. You can track the location of your vehicles and assets in real-time on our APP that provides you with a detailed user interface that includes sensor information, map, route history, alarms and devices. GPSLive smartphone APP is engineered to provide an enhanced user experience and allow businesses and individuals to locate their vehicles and assets quickly without needing a computer.